Disclosure: This post was sponsored by Coca-Cola through their partnership with POPSUGAR Select. While I was compensated to write a post about Share-A-Coke, all opinions are my own. There is something about cracking open a glass bottle (preferably Mexican) of Coca-Cola on a hot summer day. It really can produce that ahhhhh, moment. My husband and I indulge in one every so often to satisfy the craving. They are my special occasion treats, especially at BBQ’s and holidays. I’m looking forward to the 4th of July this year because I’m making Patriotic Popcorn to bring with us to watch the fireworks. 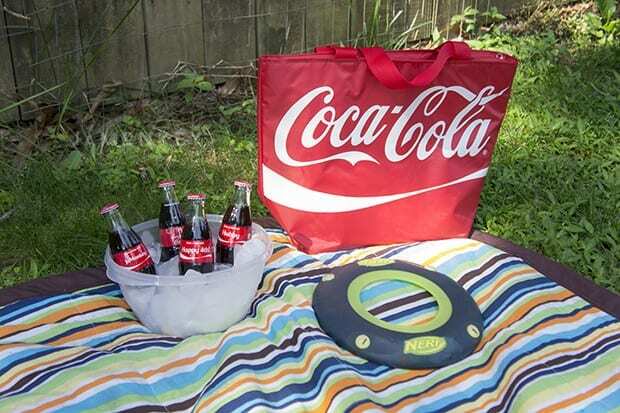 Last Summer, Coca-Cola sent me a pretty awesome surprise. It was a Coca-Cola with my name on it. At the time, they had just started printing popular names on bottles here in the USA, but they didn’t have a bottle with my name because of the spelling. I spell my name Meghan, and they were only making Meg at the time, so I was tickled to see my name on a bottle. It was made especially for me. I placed it in a memory box, but I think I might crack it open now that I know I can find it in stores. Beside, I have an even cooler one to place in my memory box now. That is, if I don’t drink it first. You can make your own Coca-Cola Bottles now on the ShareaCoke.com website. They aren’t the plastic ones you find in stores, they are the classic 8 oz glass bottles and you can get whatever you want on them (within reason). I designed a few bottles myself to enjoy with my Hubby for the Fourth of July weekend. All I did was type in the name I wanted into the name generator and it searched to see if it was already approved. 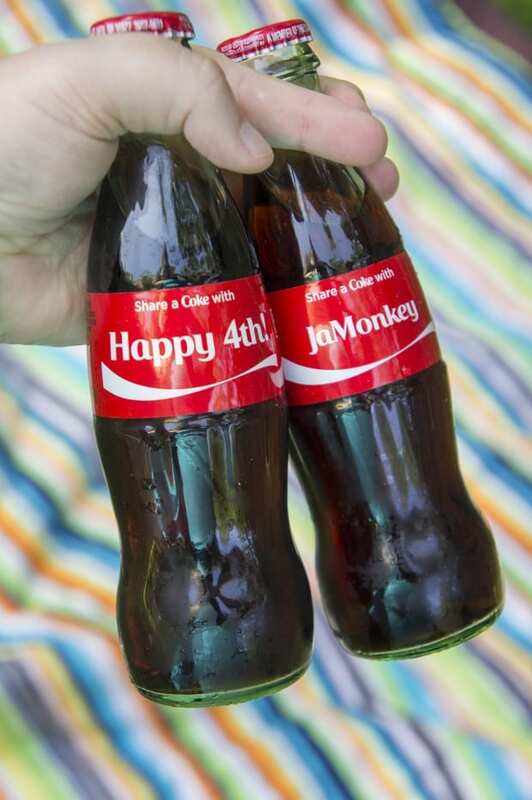 Hubby was already in the database so I was able to get that one no problem, but I also wanted one with JaMonkey and Happy 4th on it. These had to be approved before I could order them. They emailed me not long after I hit submit to let me know that I could now order them with the cleared messages. A few days later I had three customized bottles to serve at our Fourth of July celebration. My husband thought it was pretty cool that you can customize them now. His grandmother is a HUGE Coca-Cola fan so we send her fun Coke memorabilia that I get from time to time. I think we are going to surprise her with a personalized bottle this year! Think of all the great messages you can put on a Coke bottle and serve at parties or events. I’m picturing a country wedding with the bride and groom or date on it or a Graduation party with your child’s Class of 2015 on it. There are so many possibilities. 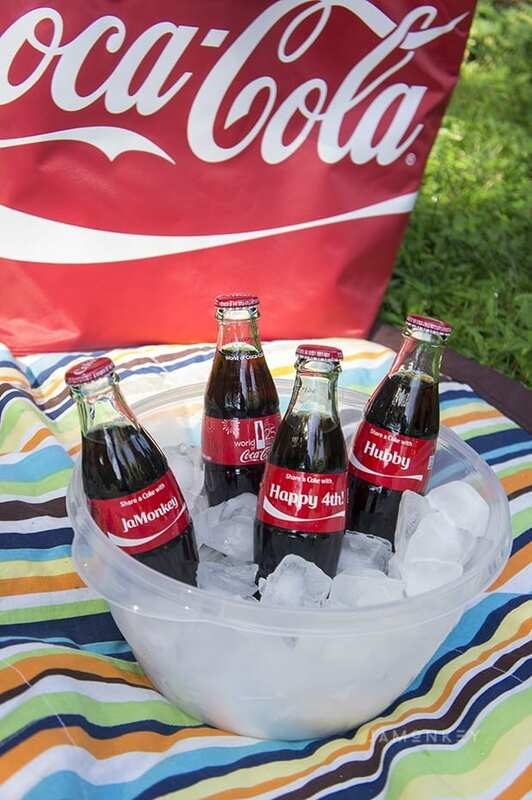 Perfect for any event or celebration, visit ShareaCoke.com to customize and purchase your own iconic eight-ounce glass “Share a Coke” bottles.